Manning isn't really in it anymore. He's about as quick out of the huddle as Donovan McNabb. Now CBS tries to explain how Manning should have won because of his stats. The return of Patrick Chung is complete. He's had a really nice game. Manning is putting up some floaters. He's going into the wind. Holding out hope that this is the night Tony Dungy admits that Peyton Manning was at a severe coaching disadvantage for most of his career. Josh: not three quick passes. Peyton you done, stick a fork in him and his 400 yards. Still waiting for an epic Manning face. So far good, not great. Waiting for the handshake and look of pity on Brady's face. Peyton has a long torso. Like a centaur. Sorry Nance/Simms... your love affair is over! Peyton probably thinks Nantz is bad luck now and won't play golf with him anymore. Pretty nice win for the Pats, eh? 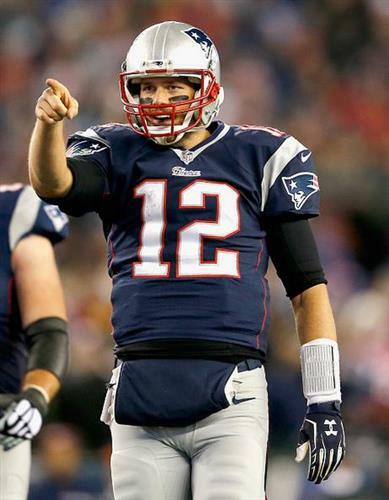 Brady & the Patriots beat Manning & the Broncos 43-21 & move to 7-2 atop the AFC! FINAL: #Patriots pick up statement win over the Broncos, beat Peyton and Co. 43-21 to improve to 7-2 on the season.